Gun Control—Immigration Reform—Debt Ceiling/Fiscal Cliff—Certification for Mediators— All these political issues that have become (or continued to be) polarized can be understood within the same conceptual frame as we understand our high conflict divorce cases. Polarizations result in disagreements, then in POSITIONS, then in ANGER, then in IMPASSE (or in severe cases, in VIOLENCE). However, as we do in effective mediations, we should try to analyze the underlying feelings and resulting hidden agendas. A typical analysis looks something like this: On the surface, people in a dispute have a real need which they express overtly as a want; if this want conflicts with and is not acceptable to the other side, there is an impasse which gets inflamed to whatever degree it goes. We know from psychology that what lurks behind anger is a more vulnerable feeling, such as fear of a loss. However, by staying in anger and not surfacing the underlying need, each person escalates the threat value to the other and solidifies two opposing POSITIONS. When we approach such positions as logical issues to simply discuss to resolution, we often get stuck; you cannot use simple rational discourse to resolve an essentially emotional need. We have a hard time recognizing this and, instead, may react to the dispute with our own emotions. However, this often winds up with us getting as stuck at the level of polarization as are the disputants. As a facilitator, you may either wind up feeling compelled to pick a side and subtly to overtly sway towards it, while risking losing your neutrality, or you have to move the discussion away from the level of wants down to the level of needs, emotions, and interests. Ultimately, in an impasse, each side fears losing something: In disputes over Gun Control, it is losing more innocent lives vs. losing personal safety and protection; in disputes over Immigration Reform, it is losing talented people and necessary social contributions of immigrants vs. losing potential American jobs; in disputes over the Debt Ceiling/Fiscal Cliff, it is losing on-going social programs vs. losing tax money to excessive interest payments; and, in disputes over Certification for Mediators, it is losing quality control for consumers vs. losing personal/professional autonomy to future regulators. Polarizations at low levels of intensity, with flexibility of disputants and openness to other points of view, yield compromise, creativity and resolution. However, once disputants get positioned, then more arguing yields more intensity and impasse. Our skills as mediators help us to find common ground and encourage new, creative and inclusive resolutions to disputes. I wonder how each of us would facilitate an effective resolution to the gun control discourse, which most recently was largely stimulated by the Sandy Hook shootings. It seems that the NRA and the ardent gun owners fear losing their second amendment rights of protection from an imagined future “tyranny of the government,” while the other side fears losing its children to future gun violence. Others in the discourse cite, as better solutions, background checks to gun purchases, enhanced mental health resources, and reduction in violent video games and other media. How similar this is to a high conflict divorce, in which a father may fear losing his children or financial assets, while a mother may fear losing her identity as a full-time parent and losing adequate financial support, both to the “tyranny of the courts” or the “tyranny of the ex-spouse.” Each parent offers solutions to the dispute such as gaining sole custody of the children and receiving financial support from the other parent. As they each continue to scare each other with verbal threats and attacks, the impasse deepens beyond reason; on a national level for the political disputes, and on the familial level for the divorce disputes. The dynamics of fear are rampant in both types of disputes. “Can we all just get along?” How could we use our skills from intervening in divorce cases to deescalate the national discourse on violence? Donald T. Saposnek, Ph.D., is a clinical-child psychologist and family therapist in practice since 1971, a family mediator, trainer and consultant since 1977, and a Founding Board Member of APFM. He is the author of Mediating Child Custody Disputes: A Strategic Approach, and co-author of Splitting America: How Politicians, Super Pacs and the News Media Mirror High Conflict Divorce. 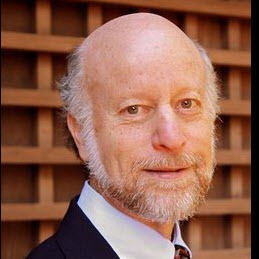 He has been teaching on the Psychology Faculty at the University of California, Santa Cruz, since 1977 and is Adjunct Professor at Pepperdine University School of Law, Straus Institute for Dispute Resolution. This article was originally published in the Winter, 2013 issue of The Professional Family Mediator.